Timeshare Angels, Inc. (209) 839-0000 - Timeshare Angels, Inc.
Timeshare Angels is your leading source for Buying and Selling WorldMark by Wyndham Premier Ownerships. We have specialized in the WorldMark by Wyndham resale market since 2004. Our entire inventory consists of only Premier WorldMark Credits. Whether you want to Sell or Buy your WorldMark by Wyndham ownership, Timeshare Angels is your best resource. We even BUY and SELL one-time use credits. Timeshare Angels is a California Department of Real Estate licensed company with agents who know and understand the WorldMark by Wyndham timeshare ownerships. 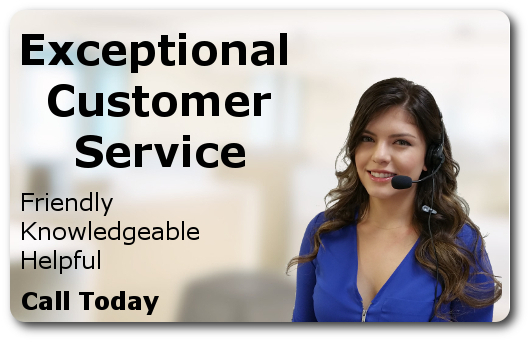 Their commitment to excellent customer service makes every transaction simple and easy. Give us a call at: (209) 839-0000 and see for yourself how easy it is to enhance your WorldMark by Wyndham ownership. Timeshare Angels has the largest inventory of WorldMark Premier credits for sale (other than Wyndham) at a fantastic price. WorldMark, the Club is a point based vacation ownership program that is easy to understand and use. As a member of the club, you own a certain amount of credits which are renewed annually on your anniversary date, then when you are ready to go on a vacation, you book and pay for your vacation using your WorldMark credits. Determining the number of credits used for a vacation depends on the unit size and the length of stay. As a WorldMark owner, you can either book your vacation online using WorldMark's website, or call one of their friendly vacation counselors. Going on vacation should be easy and should not cost a lot of money. Unlike much of our competition in the WorldMark resale world, we do not charge any upfront fees to sell your WorldMark ownership. With more than a decade long track record, we have proven that treating our customer with respect, handling the transaction efficiently and making payments quickly to the seller is an excellent business model. All of our transactions are in writing so there are no hidden fees or surcharges. You will know exactly the amount you will receive when the sale is completed. When you use Timeshare Angels, you will never be charged an upfront fee to sell your WorldMark by Wyndham ownership. We have many options in which a seller might want to divest themselves from their WorldMark ownership including free listings. We also offer free appraisals of your WorldMark ownership so you can have a better understanding on how to properly price and list your timeshare so it will actually sell. Our specialists will spend time with you to help you understand your options and answer your questions. Beware though, we will not over or under exaggerate the value of your ownership. You will receive the honest truth about the value of your WorldMark ownership. In the long run, everyone benefits from a honest evaluation of their WorldMark ownership at the beginning of the sales process. Another reason to use Timeshare Angels for buying and selling your WorldMark credits is that we offer financing. Give us a call and let one of our specialists review the financing options that are available through Timeshare Angels. As WorldMark owners since 1992, we know, understand and use WorldMark credits for our own vacations. We have used WorldMark credits to vacation in California, Oregon, Washington, Nevada, Idaho, Utah, Arizona and many more locations. With over 75 WorldMark resorts throughout the United States, Canada, Mexico and Fiji; a person could spend years of vacation time just visiting each resort one time. Although as a WorldMark owner, if you have a favorite WorldMark resort you could go to your favorite resort time and time again. Seattle Washington is a beautiful place to vacation, so as a WorldMark owner you could choose to stay at the Camden in downtown Seattle; 2, 3 or 4 times a year. As long as you have credits to spend, you can go as many times or stay as long as you like at any WorldMark resort (of course, everything is based on availability). The incredible bonus you get when you buy your WorldMark Premier One-Time Use Credits from Timeshare Angels is it gives you the full use and flexibility of the credits; just like your WorldMark Premier ownership credits. Use the credits to go anywhere in the WorldMark resort system, or use them and pay for your RCI or II exchanges. Call one of our specialists and they will help you add additional One Time Use Credits to your account for that special vacation. But where do we get these wonderful credits that we can sell as One-Time Use Credits? We get them from other WorldMark Owners who have more credits than they can use and instead of letting them go to waste by not using them, we purchase these credits and then sell them to those who don't have enough. It is a win-win for everyone. The seller will get paid for credits that would have otherwise expired and been useless, and the buyer can get One Time Use Credits to pay for a vacation without having to borrow from future years or going back to Wyndham and increasing the size of their ownership. Timeshare Angels guarantees to make your experience of buying or selling a WorldMark by Wyndham timeshare the best that it can possibly be. Whether you are buying or selling WorldMark credits, we are 100% confident that you will be totally satisfied with our services. Never pay an upfront fee to sell your timeshare! When you purchase your WorldMark Premier credits through Timeshare Angels, you will save up to 80% compared to retail prices from WorldMark by Wyndham. From time to time, save even more by taking advantage of a Special Offer from Timeshare Angels. Timeshare Angels specialists are available by phone, Monday through Friday, from 9:00 AM - 5:30 PM Pacific Time. Our phone number is: (209) 839-0000. Of course our website is available 24 hours a day. If you have a question or would like to make a purchase when our office is closed, feel free to complete a simple contact form and we will get back to you the next business day. Got Social Media? Find us and "LIKE" us on FACEBOOK! For additional personal references, click here. For a faster response, provide your phone number and we will call you. What would you like to buy or sell?